Jobs Description: Join Pakistan Army As Captain / Major Through SSRC In 2019. 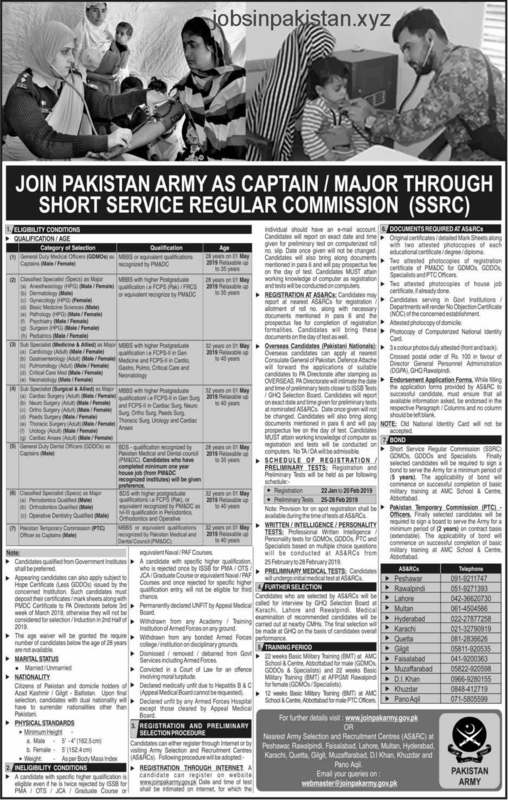 Pakistan Army recently announced an advertisement for Jobs of Captains and Majors. Registration is started from 20 January 2019 to 30 March 2019. How To Apply: The interested candidates may apply online through Pakistan Army or apply by visiting nearest AC&RC (Army Selection & Recruitment Centre).